"HEY EVERYBODY! GUESS WHAT TIME IT IS?! IT'S CHUURRRROOOO TIME!!!" If you've ever been to a River Cats game (SF giants farm baseball team in Sac), you might have heard this infamous cry from a churro vendor! This cookie bar encapsulates the signature flavors and texture a of a childhood (and grown-up) favorite! Butter cookie dough is rolled in cinnamon sugar, drizzled with caramel-like dulce de leche, and finally topped with a fried tortilla coated with more cinnamon and sugar! A sweet experience re-created in delicious cookie bar form. Now available for orders! The S'mores Bar meets Oreo © cookies. An incredible combination of two favorites, all in a portable bite (or two). If you thought the S'mores Bar was good, you might have trouble deciding which is your favorite after trying these! You can place your order here! THE OG. The S'mores Bar. The one that started it all. S'mores. The aptly named concoction of crumbly graham crackers, gooey marshmallows, and melted chocolate sandwiched in perfect campfire harmony. 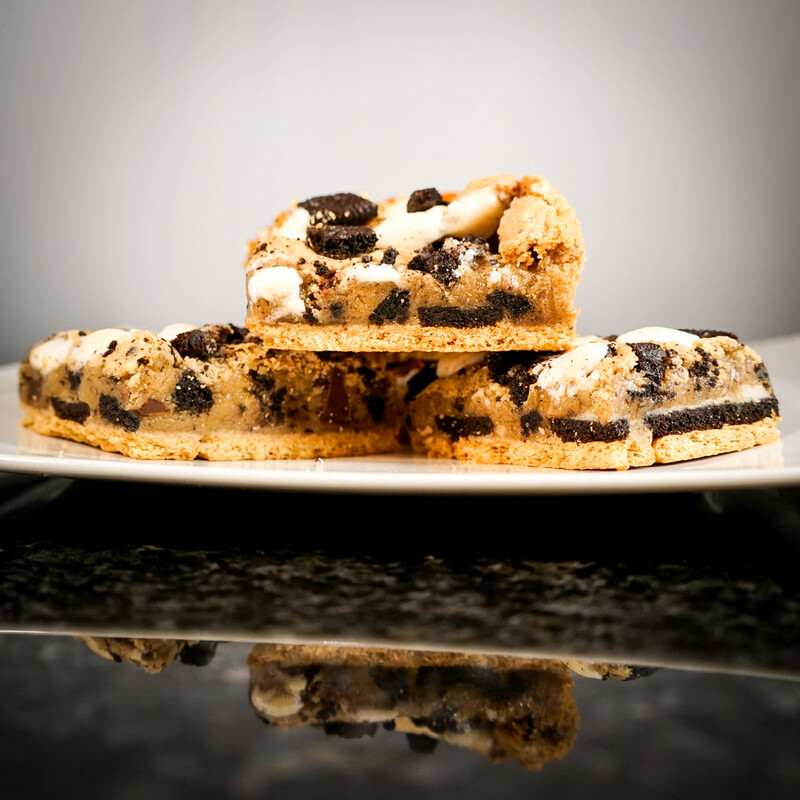 As the name can attest, these delectable cookie bars will tease you for just a bite, but will leave you wanting, well.... s'more! Order some to surprise your loved ones with a wonderful sweet and salty twist on a beloved classic treat.